Abraham Cahan, the son of a school teacher, was born near Vilnius in Lithuania in 1860. While a student at the Teachers Training Institute he became involved in revolutionary activities and after the assassination of Tsar Alexander II in 1881 he feared arrest and decided to emigrate to the United States. Cahan settled in the Lower East Side of New York City. Cahan worked in a factory and became involved in trade union activities. He also joined the Socialist Labor Party and was a delegate to the second and third congresses of the Socialist International in 1891 and 1893. Cahan became a journalist and worked for several Yiddish radical periodicals, including Di Zukunft and Di Arbeter Zeitung. In 1896 he published a novel, Yekl, a Tale of the New York Ghetto. The book won the enthusiastic support of the literary critic, William Dean Howells, and was praised for the realistic treatment of Jewish immigrant life. In 1897 Cahan founded the Jewish Daily Forward with a group of Jewish trade unionists and Socialist Labor Party members who had become estranged from its leader, Daniel De Leon. Cahan became the editor in 1903 and turned it into a mass-circulation daily. By 1912 it was achieving sales of 120,000. This was to grow to 275,000 ten years later. 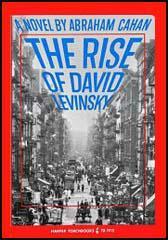 Cahan's best known novel, The Rise of David Levinsky was published in 1917. The book is a fictional autobiography of David Levinsky and tells the story of an ambitious immigrant who abandons the practices of Judaism in order to be successful. Cahan became a leading figure in the American Socialist Party and initially welcomed the Russian Revolution. However, disturbed by the way the Bolshevik government treated its opponents, Cahan became increasingly anti-communist in the 1920s. In 1936 Abrahan Cahan joined forces with Sidney Hillman, Vito Marcantonio and David Dubinsky to establish the American Labor Party. The main objective of the organization was to support Franklin D. Roosevelt and his New Deal. The ALP put forward a left-wing, non-socialist, program. Its 1937 Declaration of Principles stipulated that there should be a "sufficient planned utilization of the natural economy so that coal, oil, timber, water, and other natural resources that belong to the American people... shall be protected from predatory interests." According to his biographer, Jules Chametzky: "Cahan advocated that the Jewish immigrant masses Americanize themselves as rapidly and effectively as possible, even though his own literary work frequently showed the social and psychological price such a course exacted. Cahan's position put him severely at odds with Yiddishists, many religious groupings, Zionists, and other advocates of Jewish cultural autonomy." 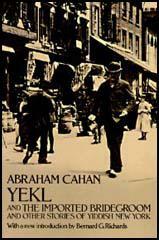 Abraham Cahan died of congestive heart failure on 31st August, 1951.